With the exception of a few spectacularly ill-advised ergonomic keyboard redesigns, the collection of keys that we use to input data to our computers has been relatively unchanged for quite some time. 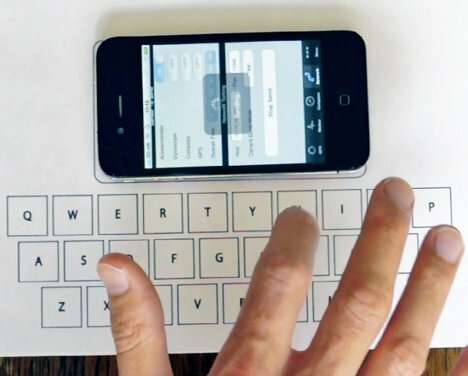 These ten new takes on the keyboard might change the way we type forever…or at least the way we look at our keyboards. Touching a shared keyboard – particularly one on a public computer – is a frightening concept for germaphobes and anyone who doesn’t want to contract the latest annoying virus. The Keystick concept from designers Yoonsang Kim and Eunsang Park eliminates the yuck factor from keyboards by putting a keyboard in every pocket. The portable device resembles a folding fan, but when it folds out it reveals its full set of keys. Users would take their own keyboards with them so fear of contamination and germs would be eliminated – at least as far as computer keyboards are concerned. If you miss the constant clack-clack-clack of typewriters, the USB Typewriter mod will take you back. 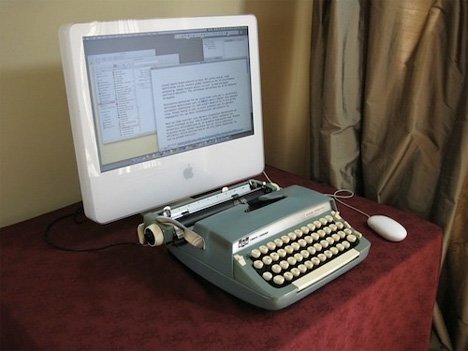 A clever DIY kit helps users turn their old, neglected typewriters into cool new USB accessories that work with Macs, PCs or tablet computers. The mod is surprisingly easy to implement and results in one of the coolest custom keyboards any typer could ask for. The Microsoft Keyflex is a flexible keyboard meant for playing and entertainment – not for work. The bendy ‘board removes the negative work-related connotations from its design, focusing instead on being the perfect living room companion. Rather than relying solely on key taps, the Keyflex uses physical manipulation to get the user’s point across online. Squeezing, bending, and twisting the keyboard itself all activate different functions such as changing the volume, “liking” something on Facebook or exiting whatever program is being used at the moment. The chorded keyset was invented in 1968 by the inventor of the computer mouse, but unlike the ubiquitous mouse the five-key input device never quite caught on. The keyset requires users to press the five keys in certain combinations to create each character rather than pressing one key at a time. In this way, the keyset is able to take up much less room than a QWERTY keyboard and, with a lot of practice, users can type faster on it than on a standard keyboard. 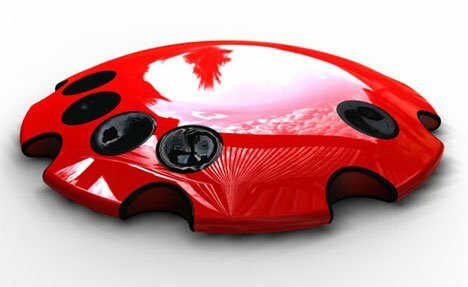 This version is a conceptual redesign of the classic concept, its shape inspired by the rounded body of a jellyfish. Using computers with tiny screens usually means also using computers with impossibly tiny keyboards. 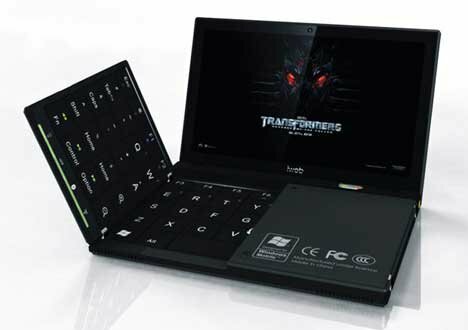 This concept from designer Yang Yongchang puts a folding keyboard onto a small laptop, providing space for fingers but not forcing the screen to increase in size just to accommodate the expanded keyboard. Being in an office all day can really dampen one’s connection to nature. 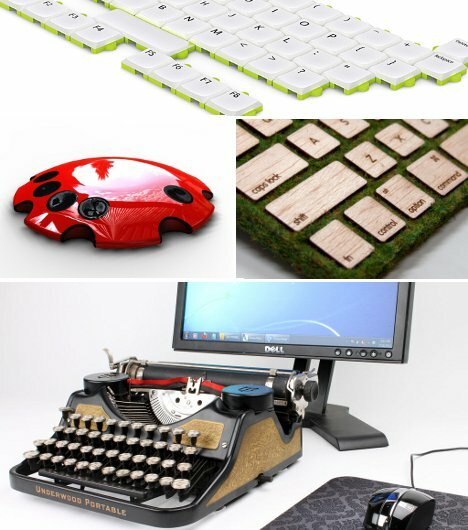 Designer Robbie Tilton decided to bring the outdoors in with his Natural Keyboard concept. 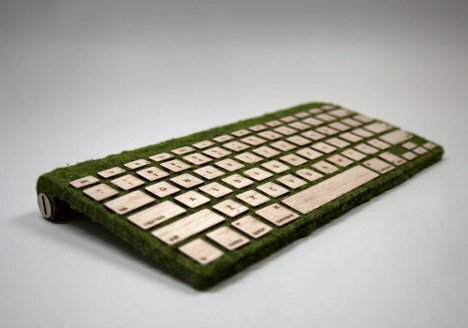 Although the prototype uses fake moss, the designer intends the keyboard to be seeded with natural grass, allowing for an unprecedented amount of comfort and connection to nature in the office. No, this little keyboard won’t actually kill literal mice. But it may just make your computer’s mouse obsolete. 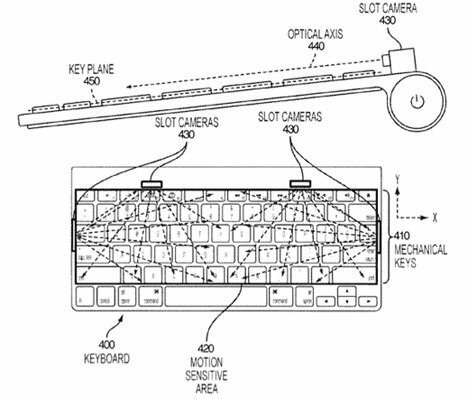 The concept was patented by Apple and features four tiny cameras that track hand movements. As the user’s hand moves around, the on-screen cursor follows, doing just what a mouse would do but without the need for another cumbersome piece of equipment on the desk. Ergonomic keyboards are (let’s be honest here) usually ugly and kind of a pain to use. This one seems like it wouldn’t be much of an exception in those areas, but it does something other ergo keyboards don’t: massages your hands and wrists. The twin halves of the keyboard move around slightly and vibrate about twice an hour to prevent carpal tunnel syndrome and a variety of other repetition-based injuries. The touch screens on iPhones are a huge pain when trying to compose a message quickly or with any length. 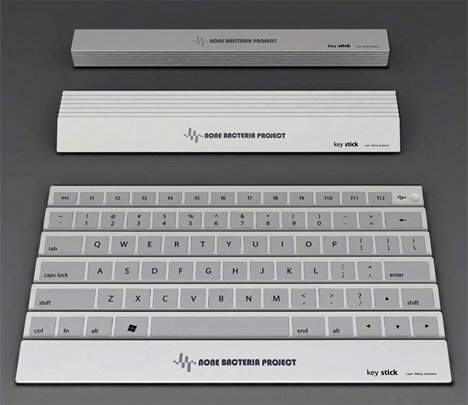 A student project would make it possible to use a tabletop as a keyboard instead. The Vibrative system designed by Florian Kraeutli analyzes the vibrations caused by typing on a regular piece of paper placed on a table. Once the system is calibrated, experienced touch typers don’t even need the paper – they can simply tap away on the table as though they were using any QWERTY keyboard. If you’ve ever wondered why the standard keyboard is set up the way it is, or if you’ve ever come up with a better solution, the Puzzle Keyboard would let you rearrange the keys to your heart’s content. The design was created by Wan Fu Chun and won a Red Dot design award. 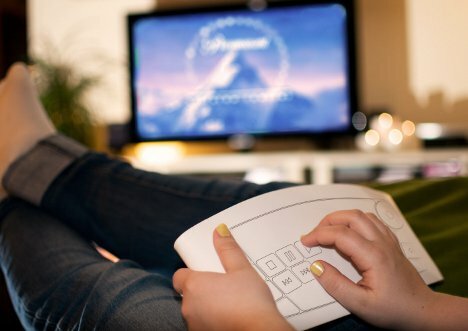 While the concept of a puzzle-like keyboard is delightful, it isn’t all for fun – the concept could also be helpful for making keyboards easier to use for people with injuries or handicaps that prevent them from comfortably using a standard keyboard’s setup.